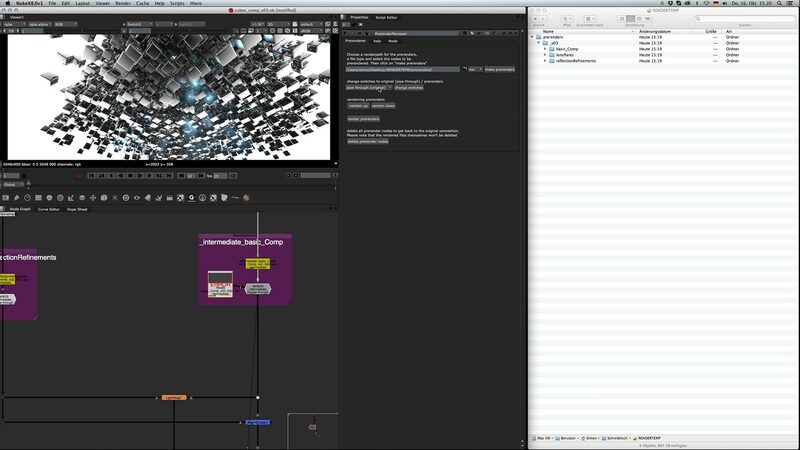 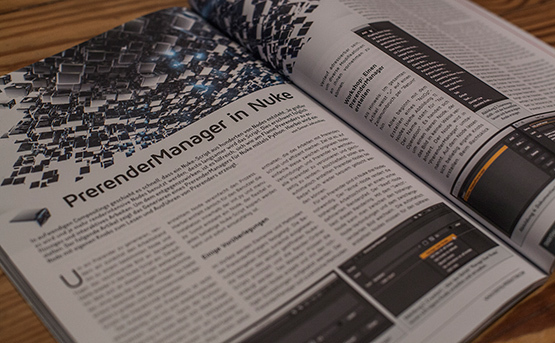 The PrerenderManager is a useful node which allows you to automatically create prerenders inside big nuke setups . 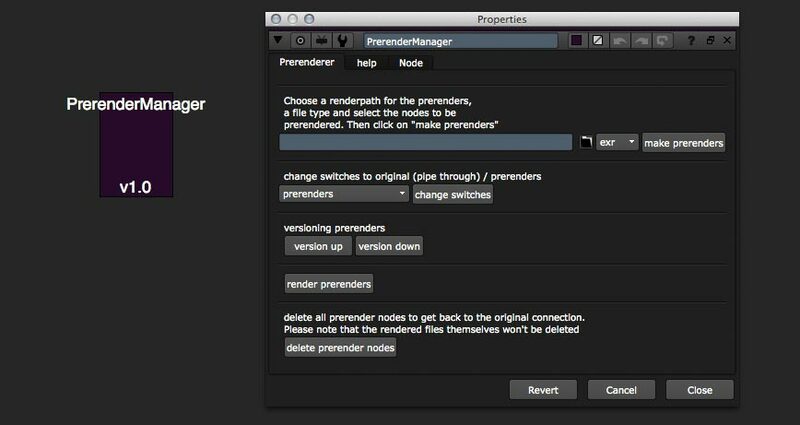 Just select the nodes from which you want to have a prerender, choose a render path and click on "make prerenders". 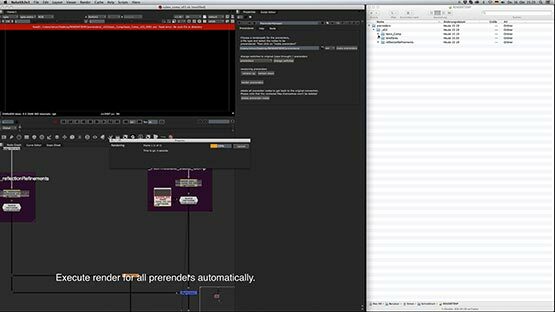 The prerender render folder and the prerender nodes are automatically created and applied with the right input and output paths. 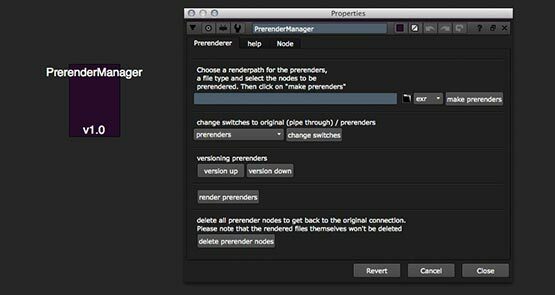 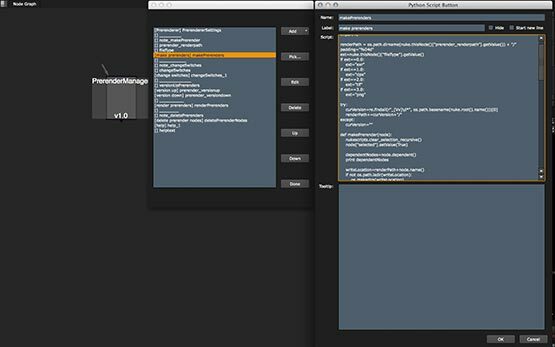 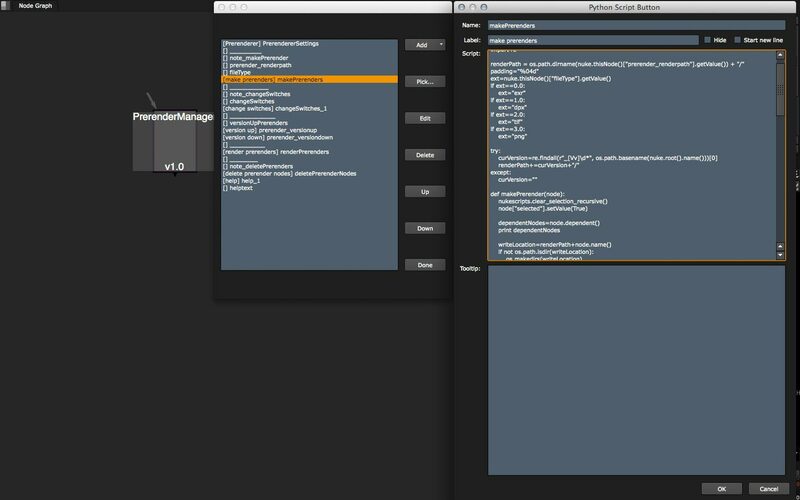 With the PrerenderManager all prerender nodes can be rendered at the same time. Additionally they can be versioned and furthermore you can delete all of them at once by pressing just a button . This makes working in large nuke setups easier and speeds up the operation by fully automatic creation of folders and render node setup. 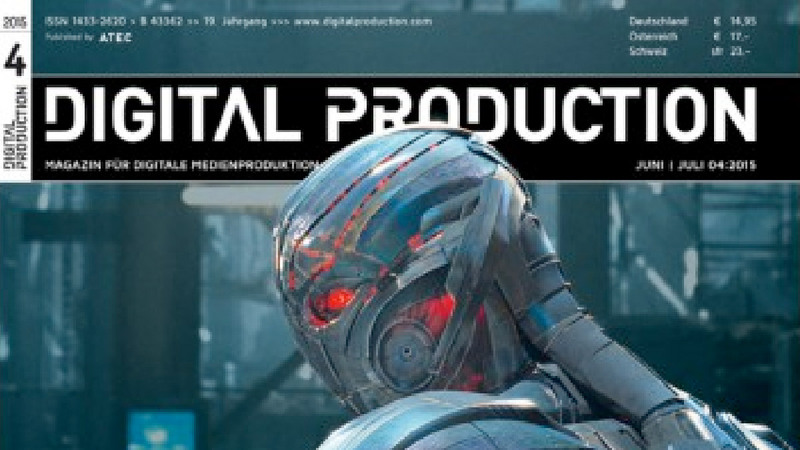 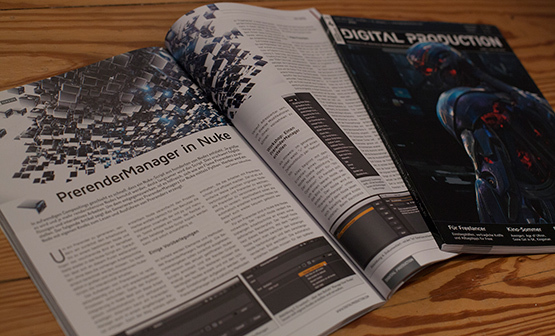 The PrerenderManager was created as an article "PrerenderManager for Nuke" in the magazine 'Digital Production' (Issue June | July 2015). 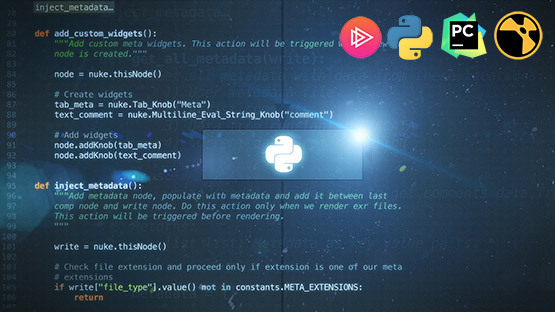 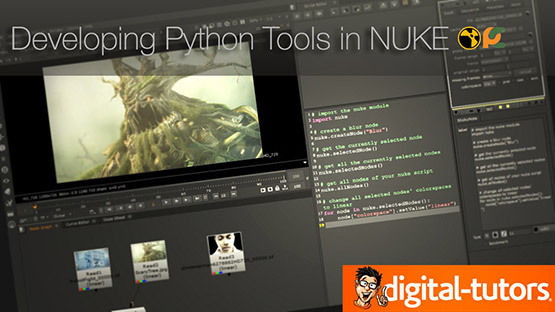 The article is organized in the form of a workshop, where I explain how to build this PrerenderManager directly inside nuke with python. 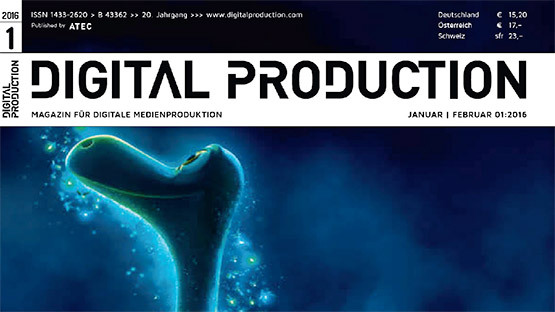 The article (german) can be downloaded here as a PDF.